Time flies when your having fun right?! It has been 20 years since Puff Daddy started his super popular Bad Boy Record Label and the family is celebrating in a major way. To commemorate this anniversary, the label has decided to release a 5 disk, 80-track box set for the fans which will feature past and current label artists. The box set is set to release on August 12th and will feature the likes of Diddy himself, 112, Mase, Faith, Biggie, French Montana, The Lox, Janelle Monae, Lil Kim and many more. You will hear you favorite songs such as "Juicy", "Flava In Ya Ear", "Money, Power, Respect", "I'll be Missing You", "Peaches and Cream" and so much more. You can find the track listing on Amazon or iTunes, where the set will be available for purchase. The box set will come with a 64 page write up about the history of the label and the the influence that the label had in the music industry. "We wanted to thank our fans, celebrate the music, the people, and the Bad Boy lifestyle that has defined the past two decades. We've always made music that made the people dance; this collection does all that and more, and it is a celebration of all things Bad Boy." The Bad Boy family will be starting their tour, the Bad Boy Family Reunion Tour, on August 25th and the anticipation for the tour has been crazy! So will you be attending the concert?! 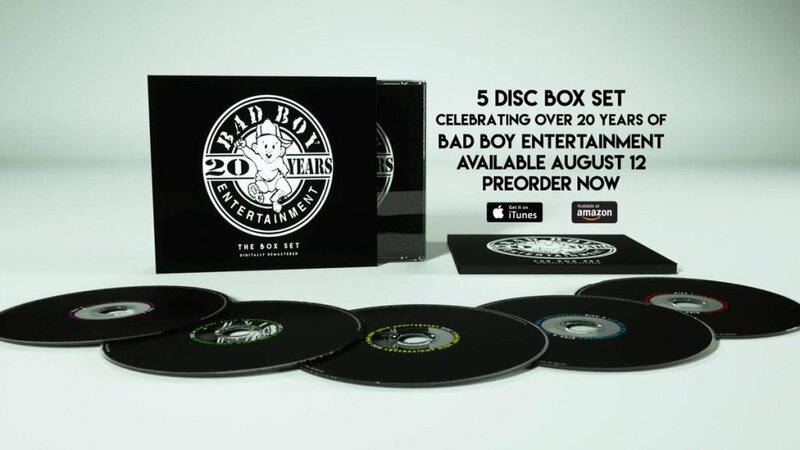 Will you be purchasing this gift set box (its definitely worth the $49.99) full of some of the bombest tracks ever made? !